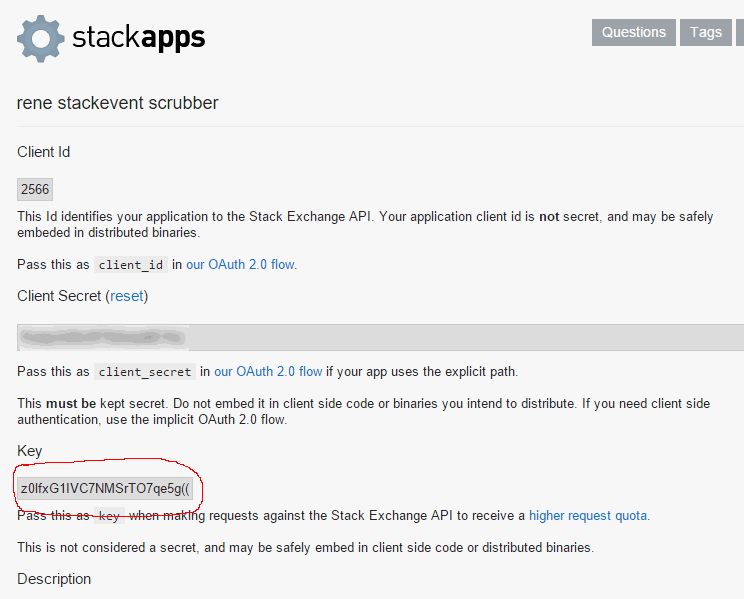 6521 This Id identifies your application to the Stack Exchange API. Your application client id is not secret, and may be safely embeded in distributed binaries. Pass this as client_id in our OAuth 2.0 flow. You're providing the clientid as key, which is not correct. This is not considered a secret, and may be safely embed in client side code or distributed binaries. Not the answer you're looking for? Browse other questions tagged support stackoverflow .